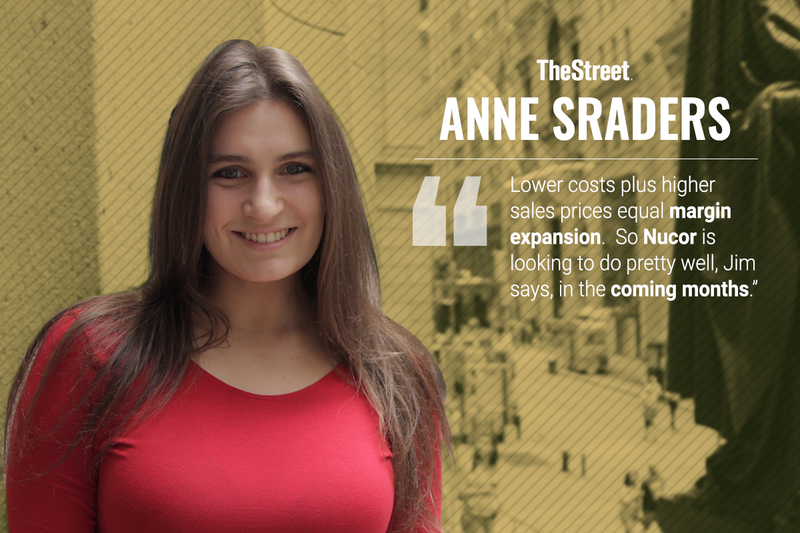 TheStreet's five interns discuss the biggest takeaways from Jim Cramer's monthly conference call with investors. What doesn't Jim Cramer know about investing? 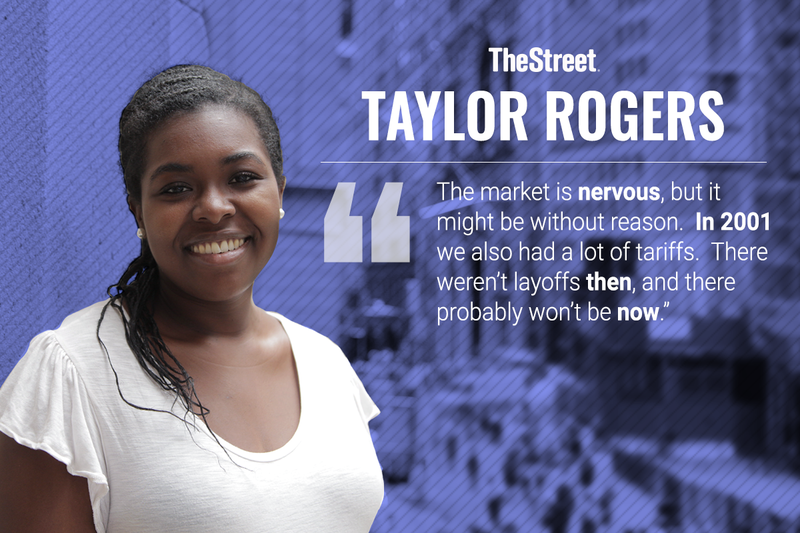 The founder of TheStreet covered everything from the trade war to PayPal's (PYPL - Get Report) future during his monthly Action Alerts Plus member call Wednesday. Here are the biggest takeaways from Cramer's speech from TheStreet's 2018 intern class. Unlike the market, Cramer is sure that the U.S. will emerge victorious from the impending trade war. Not only are U.S. markets more resilient than their Chinese counterparts, but the American economy is far less reliant on exports than the Chinese economy. Cramer doesn't see widespread layoffs or an "economic retaining wall" on the horizon for American companies. "Those of us who eagerly awaited to see where China [markets] was going to open at night three years ago remember it like it was yesterday and we aren't sitting here shaking," Cramer said. "You see the Chinese have so much more to lose than we do mathematically, they export five times more to us than we do to them. They will be hurt badly if the president institutes this next round and I can see another Shanghai crash right around the corner if they don't bend. It is the Chinese who are playing with fire, not us, even if you think the president is wrong to ratchet things up further." "Who knows how bad it can get?" Follow Taylor Rogers on Twitter. The steel industry looks to be picking up, at least for Action Alerts PLUS holding Nucor (NUE - Get Report) . Cramer made interesting points that shed light on all the Wall Street talk about the trade war, especially how it's not all doom and gloom. Cramer mentioned that "iron and steel scrap [prices]" are down 1.8% (so cheaper costs) and "steel mill products" prices are up 1.9% in June. So, Cramer pointed out the clear correlation - lower costs plus higher sales prices equal margin expansion. This should help Nucor's earnings. Follow Anne Sraders on Twitter. Investors should be bullish on oil. At least that's the outlook Cramer has on the industry, which he predicts will benefit from higher prices in the future. Demand for oil is up to 1.5% growth from the 1% growth we've seen in the past two decades and supply is shrinking because companies are just not drilling, Cramer said. High demand and low supply could drive prices as high as $100 a barrel, according to Cramer's expert and Core Lab CEO David Demshur. "Every single dip in oil is a time to buy," Cramer said. 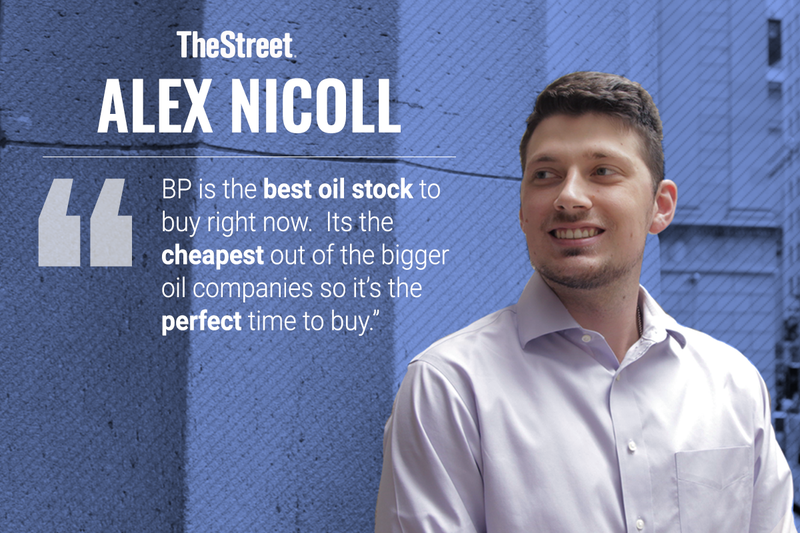 The newest addition to the Actions Alerts PlUS member club's portfolio, BP Plc (BP - Get Report) , reflects this sentiment as Cramer views it as one of the cheapest oil stocks around. Shares trade at a silly cheap 12.8 times forward earnings estimates on a price-to-earnings-multiple basis. Even though BP and other oil stocks fell Wednesday on the news that Secretary of State Mike Pompeo might grant waivers to allow oil to be shipped to some countries from Iran, Cramer's outlook on the commodity has not wavered. That's mostly because Pompeo's actions "do not create more oil, which is what is needed," according to Cramer. Buy Citigroup (C - Get Report) . Now. Cramer spent a fair bit of time on financials - and he's a believer that, despite the current mixed performance of bank stocks, the financials represent a lot of value. "These stocks have been losers of late because of a belief that they can't make enough money lending with the yield curve the way it is," Cramer explained. However, not only have these companies now come out of CCAR, but they're also buying back a ton of stock. Citigroup, for example, will buy back 10% of its shares if the stock stays put this year, Cramer thinks. Action Alerts PLUS holding JP Morgan & Chase (JPM - Get Report) , likewise, is investing $21 billion to buy its own stock. "Now that the CCAR review is over, I think the second half will be terrific for these companies," said Cramer. When Cramer referenced the most expensive stocks in the portfolio, he talked about PayPal Holdings Inc. (PYPL - Get Report) . He called the company the "global leader in payments in three years," and brought up how it still hasn't monetized the popular mobile payment app, Venmo. Cramer gave a lot of praise to PayPal CEO Daniel Schulman (who he talked with exclusively at TheStreet's latest investor teach-in) for acquiring financial tech companies like iZettle, known as the Square (SQ - Get Report) of Europe, and Hyperwallet, which is a leading global payout platform. As he explained, Cramer thinks PayPal has room for growth because there are two billion people in the world who have cell phones but no bank accounts. 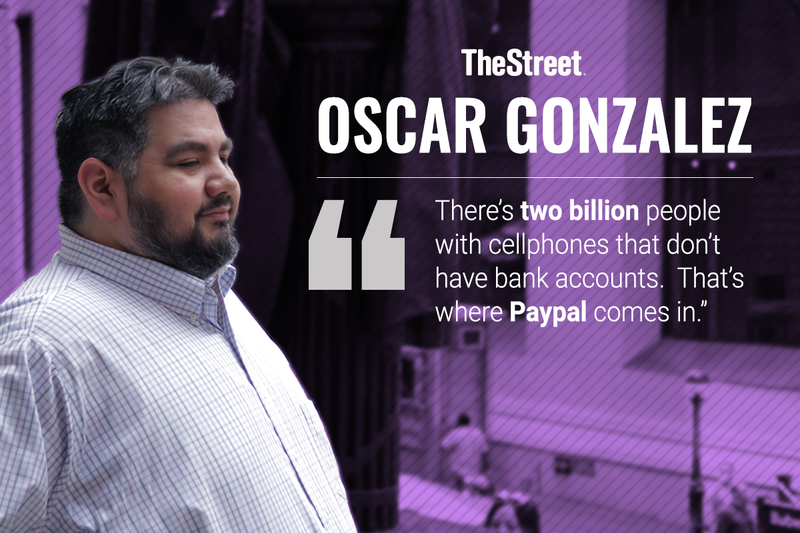 He says PayPal will be their banks. It was a great point for a company that is pushing the use of technology for finances without the need of a bank. Follow Alex Nicoll here. 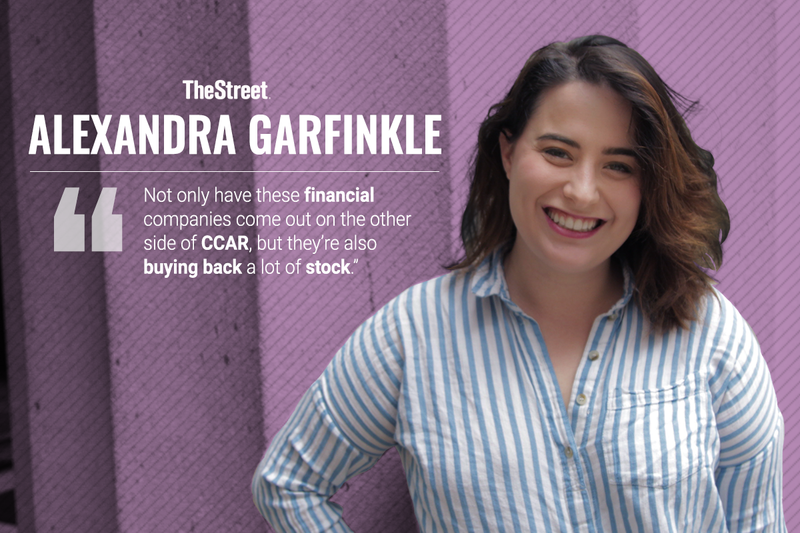 Listen to TheStreet's full podcast: What TheStreet's Interns Learned From Jim Cramer and Action Alerts Plus.